"By giving students the digital tools to start a project from inception to completion, Kimberly introduced them to entirely new ways of integrating technology into their day-to-day classroom activities." Congratulations to Kimberly Kanuck, our February 2018 Featured Teacher. 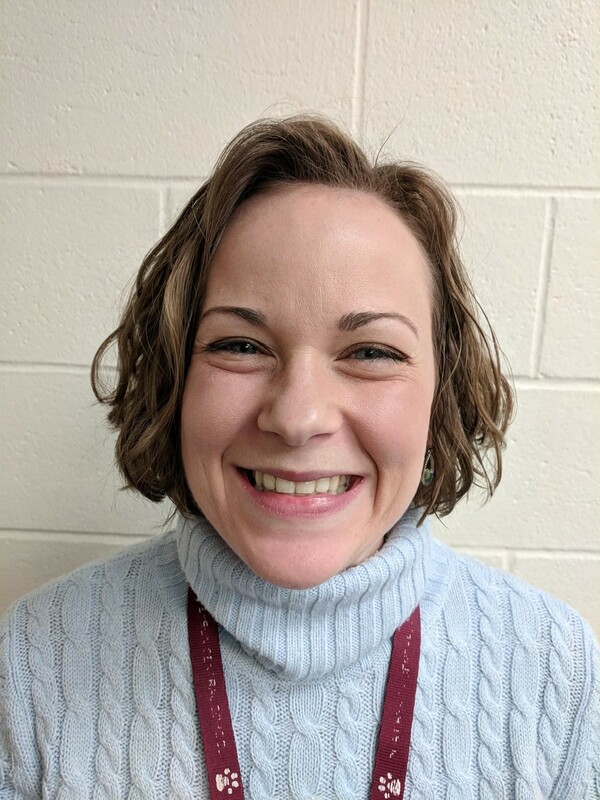 Kimberly is in the middle of her ninth year of teaching, and has spent the past two-and-a-half years teaching Global History and AIS to freshman and sophomores in the Port Byron Central School District. Following the recent integration of Chromebooks into Port Byron’s learning ecosystem, Kimberly began using many Google Suite applications – particularly Classroom, Forms and Docs – on the laptops with her students. After establishing student familiarity with these applications, Kimberly collaborated with the CNYRIC’s Mike Dingman (Instructional Technology Integration Specialist) and Cayuga-Onondaga BOCES’ Meg Rohlin (Professional Learning Coach) to have students set about creating a project on nationalism, using tools from the Google Suite. At the outset, Kimberly used Google Forms as a means to establish student groups, and assign members responsibility for defined roles. They were then provided with resource materials through Google Classroom, allowing them to research what the term nationalism means. Following this research, groups then used Google Slides to create a presentation about the topic, and recorded it using the Chrome extension Screencastify. With the recording of their presentation in hand, students were then asked to post the video to Google Classroom, allowing their peers to review what they’d seen and offer comments. Along with the submission of their video presentations, each group was also asked to create a Google Form to check peer understanding of the video presentation, while also utilizing the application to solicit student feedback on how the project might be improved upon. How have students and staff benefited from Beth's technology integration initiatives? By giving students the digital tools to start a project from inception to completion, Kimberly introduced them to entirely new ways of integrating technology into their day-to-day classroom activities. Her use of Google Classroom is a great support tool for her students, because it accounts for different levels of accessibility and styles of learning. If a student has visual impairments, they are able to enlarge the text; if a student needs help reading, they can use the built in text-to-speech option that’s built into Google Docs. Kim posts a digital "teacher copy" of classroom notes via Google Docs, so that all students have access to the content if they are absent from class, need extra help with the content when studying for exams, or simply have trouble keeping track of paper copies. This use of the technology affords students the ability to manipulate the material to best fit their learning style. Google Classroom is also used for assigning weekly Google Forms review assignments to prepare for future summative assessments. Students complete the review activity, then submit to Classroom. Once submitted, it is automatically graded by Google Forms, giving students instant feedback and allowing them to more effectively gauge their understanding in real time. Ultimately, the use of Google Classroom has allowed Kimberly to digitize much of her content, providing students with continual access to materials, assignments and assessments, helping them stay more organized, and helping them stay “caught up” should they be absent.